Roger and Andy go back to 2001, the first time they played on the ATP World Tour (Basel, Switzerland). On March 5, 2012, they will play a best-of-three-sets match at Madison Square Garden (MSG) as part of the annual BNP Paribas Showdown exhibition. 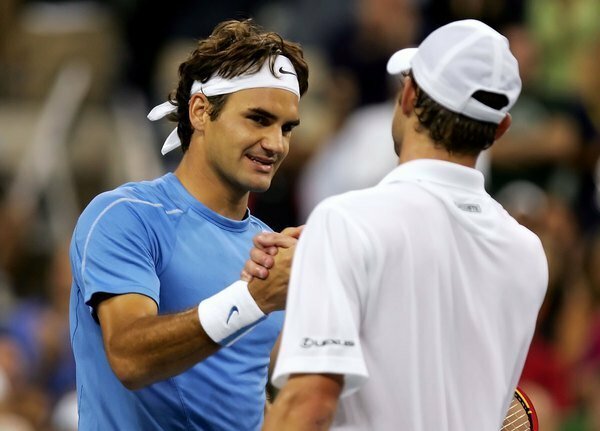 Federer and Roddick have played 22 times thus far, with Roger being 20-2, including 4-0 in grand slam finals. Caroline Wozniacki and Maria Sharapova will also take part in the exhibition event. Tickets go on sale October 3, 2011. Get your tickets here. Roger Federer takes on Jo-Wilfried Tsonga in Thursday’s night session, weather permitting. Bookmark and watch the match with WatchTennis on FedererFan07.